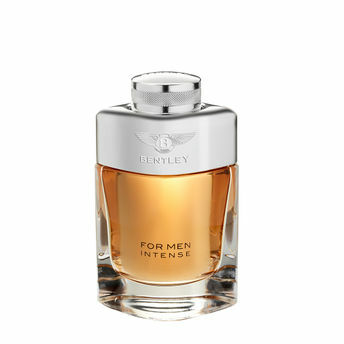 Bentley for Men Intense is an Oriental Spicy fragrance created by perfumer Nathalie Lorson. This luxurious fragrance creates long lasting impression with it's strong, intense masculine notes. Top notes are bergamot, black pepper and bay leaf; middle notes are clary sage, african geranium, cinnamon, rum and woody notes; base notes are leather, benzoin, incense, cedar and patchouli. Explore the entire range of Perfumes (EDT & EDP) available on Nykaa. Shop more Bentley products here.You can browse through the complete world of Bentley Perfumes (EDT & EDP) . Name of Mfg / Importer / Brand: Bently Fragrances Ltd.